The adaptable house, alma-nac's future proof, prefabricated reworking of the classic british terrace has been shortlisted for the Sunday Times British Homes award 2016. 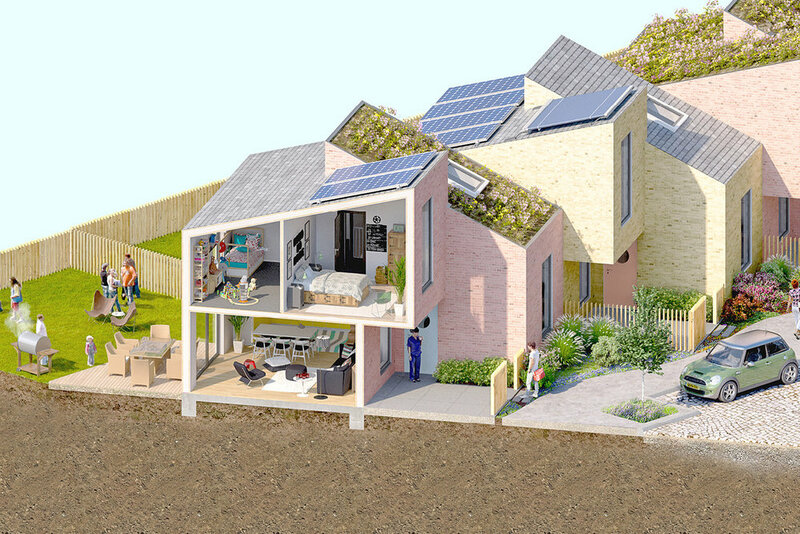 A design that allows homes to be rotated relative to one another ensures correct solar aspect on any site, with a development that can be adapted to varying user demographic. The resilient adaptability allows for the incorporation of future technologies as they emerge. Alongside the flexible, prefabricated terrace unit is the design of a permeable, shared public realm space. Soft boundaries and shared spaces allow for a reduction in space requirements and an improvement in the amount of 'available' space for use at any given time.